Other than a limitless shoe shopping spree, what would you consider an ideal gift for the shoe lover on your list? 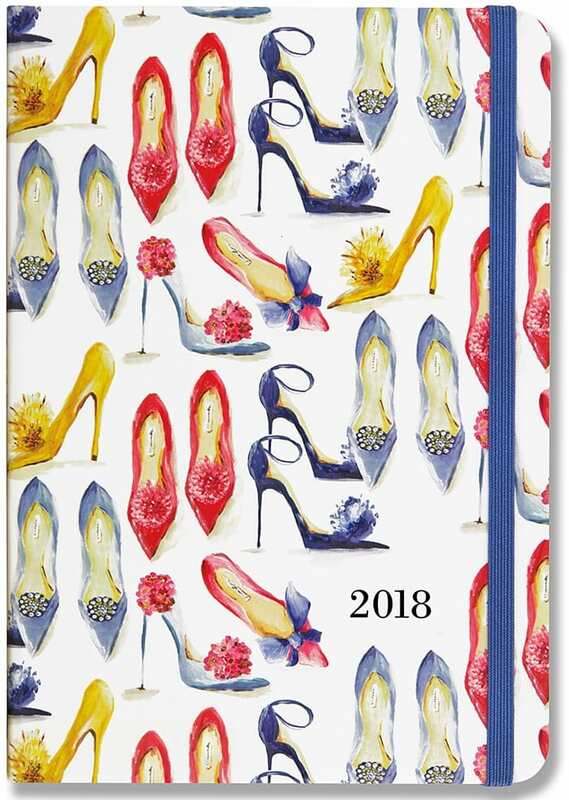 Have you thought about a shoe calendar? With a shoe calendar, the shoe addict on your list will get a dose of new shoes every single day of the year. You can find them in mini desk calendar form, or even larger wall calendars. It’s the perfect gift (or maybe stocking stuffer) for a fellow shoe lover. Not only is a shoe calendar functional, but it’s a great way to add some fashion into an otherwise boring space such as a cubicle or office. We’ve browsed our favorite retailers and found the 6 best shoe calendars for 2018 and 2019! 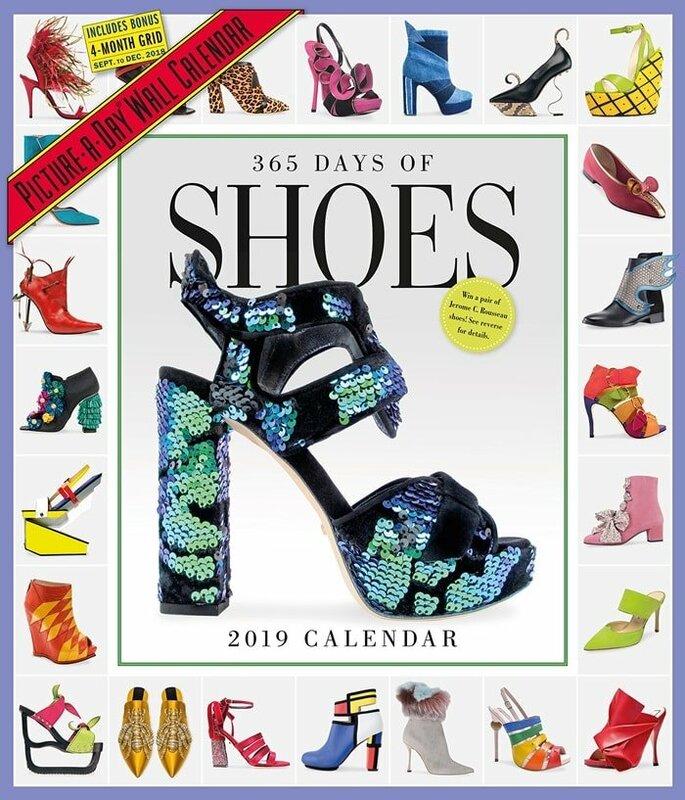 This calendar delivers a year of fabulous footwear photographed in luxuriant full color. With the curatorial eye of a fashion magazine and the stunning photography of an art book, it’s a year of designer, vintage, and couture footwear. Every page captures elegance to aspire to—a rich pop of color in Jerome C. Rousseau’s yellow and turquoise leopard-print calf hair flats. Statement suede boots from Manolo Blahnik, with hand-beading, sequins, and a slim spike heel. Collectibles, like 1930s harem shoes, with sequins and brocade d’Orsay heels from Marouf. And Roger Vivier’s classic brocade pumps, with a twist: a delicate rhinestone loop closure that gives just a peek of skin. It’s a perfect fit every day, adapted from Linda O’Keeffe’s international bestseller from 1996 (available at Amazon). Covet one-of-a-kind works of wearable art, like angular wedges designed by architect Zaha Hadid. Boots made for walking: velvet ankle boots with ruffled satin trim (bringing to mind a 21st century Marie Antoinette). Throwbacks: Oversize Pilgrim buckles meet swinging sixties in lime green Mary Janes with a flared block heel. What about for the black-tie set? Try millennial pink Manolos, fit for any aspiring fashionista. Accentuating the gorgeous photos are quotes from style icons. Big style inspiration in a mini format. The Shoes Mini Calendar is the right fit for hanging by your desk, in your locker, or on your closet door. Highlighting new and vintage styles, including unexpectedly glamorous saddle shoes with gold plating and a 90s-style floral trim. Disco-inspired platform heels that shimmer with gold and magenta glitter. And classic Mary Janes, whimsically updated with a peace sign T-strap. Each shoe is framed by a graphic, color-coordinated pattern and paired with quotes from style icons, such as “More is more and less is a bore.” —Iris Apfel. When it comes to shoes, sometimes more isn’t quite enough. Some cowboys will wear em until they wear out. Some cowboys have a pair for work and another pair for going into town, maybe to dance a Two-Step or Cotton-Eyed Joe. Other cowboys collect em. But heck you don t have to be a cowboy to like cowboy boots. You just gotta get the kind that’s right for you. 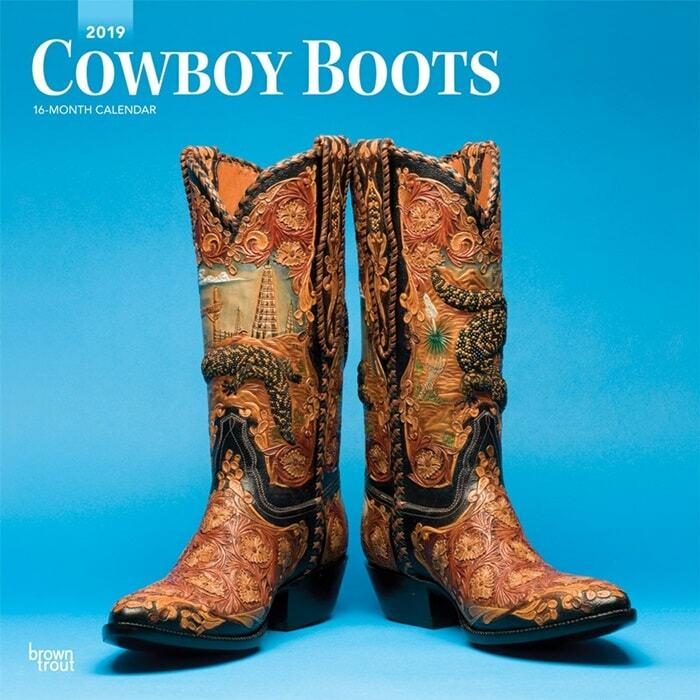 The slick cowboy boots in this square wall calendar are some of the fanciest you will ever see. A celebration of the world’s coolest and most coveted sneakers, this wall calendar is the perfect gift for sports, design, and street fashion enthusiasts alike. 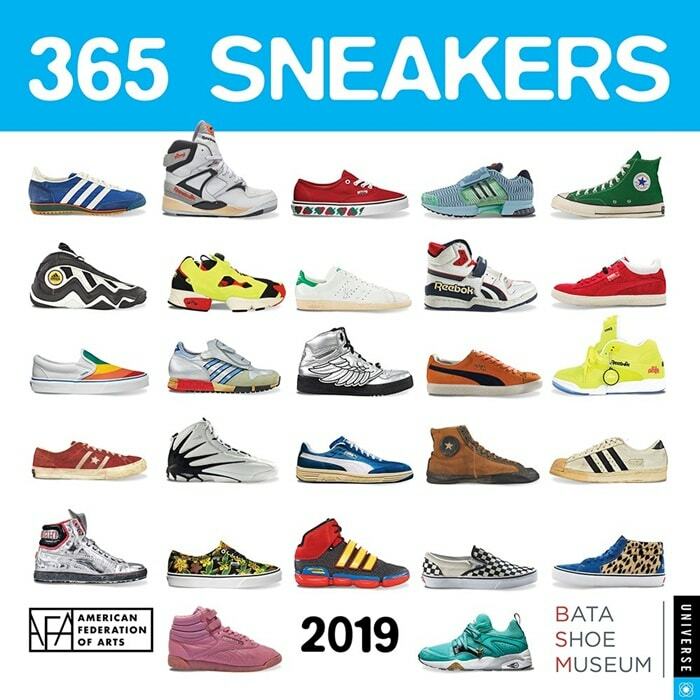 It features 365 full-color images of the trainers, tennis shoes, and kicks that have most influenced global sneaker culture.